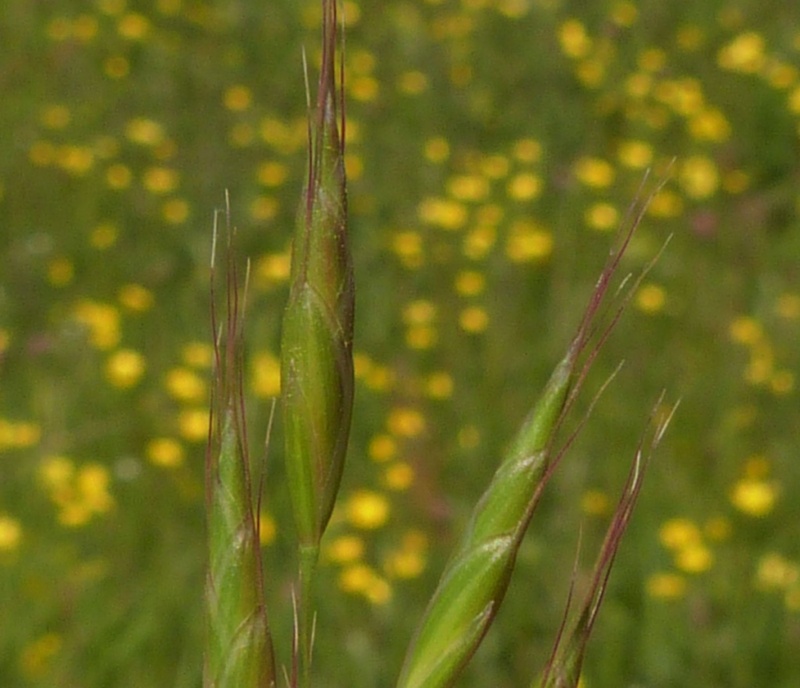 Very similar to Meadow Brome and a specimen needs to be examined by an expert to be sure of a correct identification. Unimproved hay and water meadows, usually on damp, periodically flooded alluvial soils. It is most frequent on the drier margins of fields, sometimes growing on the dredgings from the ditches bordering them. 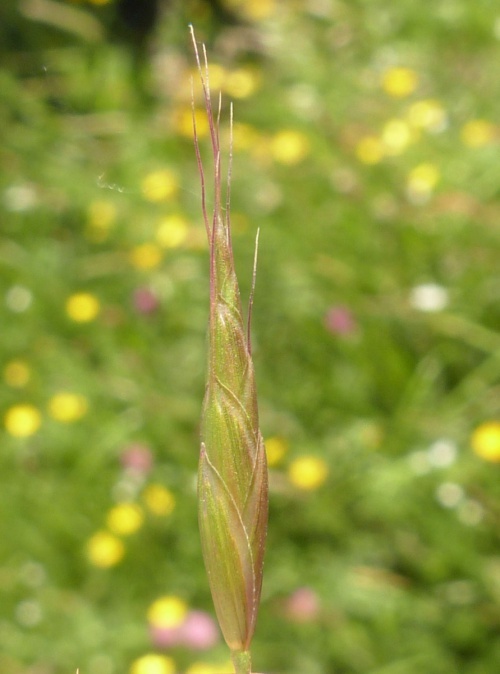 It is also found as a grass-seed casual in arable margins and on verges. Widespread but local in Britain and declining. Infrequent and local in Leicestershire and Rutland  mainly in the Soar valley. In the 1979 Flora survey of Leicestershire it was found in 11 of the 617 tetrads.